Find the Best for You, Fast! If you’re not happy with your energy booster, then it’s time to make a switch. We know, we know: quality pick-me-ups are hard to find these days. Enter NOW Sports Energy Extreme. If 22 energy-boosting ingredients don’t get your attention, nothing will. Enjoy the review as usual, folks. Comprehensive. Arguably the most complete energy booster on the market. Insane B vitamin content. Similar to those of leading athlete multivitamins. Caffeine content. Unnecessary, in our opinion. Other Ingredients: Gelatin (capsule), Silica and Magnesium Stearate (vegetable source). This product has approx. 120 mg. natural caffeine per serving (equivalent to about 1 cup coffee). Suggested Usage & Storage: Take 2 capsules daily with 8-12 oz. of water, preferably with or before a meal. Do not exceed recommended dose. Store in a cool, dry, dark place after opening. We hope you’ve checked out our energy booster reviews here on B5. We’re sure they will help ramp up your energy levels. Plus, they can help you achieve your bodybuilding goals. One of the more impressive supplement manufacturers around is NOW Foods. We gave two of its energy boosters, NOW Ultra B-12 and NOW B-12 10,000 mcg, high marks. It was an easy call – these products have a great ingredient profile and awesome transparency. These make up part of NOW Foods’ sterling reputation. We’re hoping NOW Sports Energy Extreme does these products one better. “NOW Sports Energy Extreme is formulated to supply the nutrients you need to promote sustained energy production and mental alertness,” per its official website. “With a full complement of B vitamins and other co-factors such as chromium, magnesium malate, and carnitine, NOW Sports Energy Extreme delivers what your cells need most to drive energy production,” per the same source. Sure sounds good to us, folks. 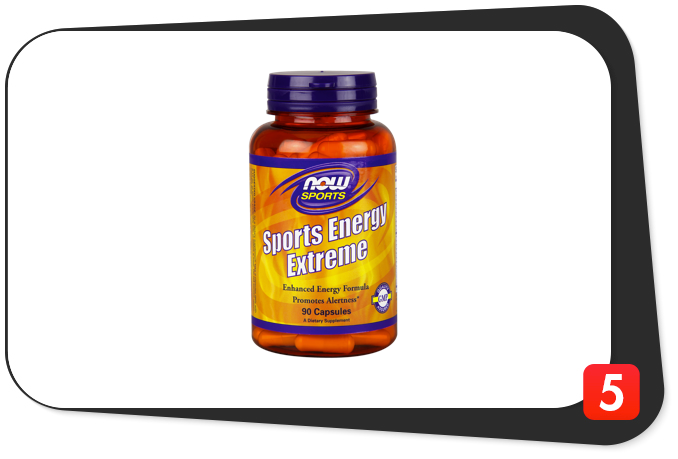 NOW Sports Energy Extreme will help boost your energy levels and athletic performance. Now, if you’re an athlete (professional or recreational), you should be excited. We get the feeling this product will exceed your lofty expectations. Right off the bat, we can tell NOW Sports Energy Extreme is not your usual energy booster. You see, most products of its kind focus on, say, five to 10 ingredients. NOW Sports Energy Extreme takes it to a whole new level with 22 components. Is it a bad thing? If a supplement manufacturer piles on the ingredients just to make the product look more impressive, then it’s a waste of time. Now, if the ingredients work synergistically and pull out all the stops, it’s a gold mine. We’re hoping NOW Sports Energy Extreme falls in the latter category. Just like most NOW Foods products, this one has GMP certification. “Good Manufacturing Processes (GMPs) are guidelines that provide a system of processes, procedures, and documentation to assure a product has the identity, strength, composition, quality, and purity that appear on its label,” per The Public Health and Safety Organization’s official website. Any time you associate a supplement with the words “strength,” “quality,” and “purity,” it’s a no-brainer. In other words, you won’t find any banned substances or fillers in NOW Sports Extreme Energy. The company is on a roll. Awesome. 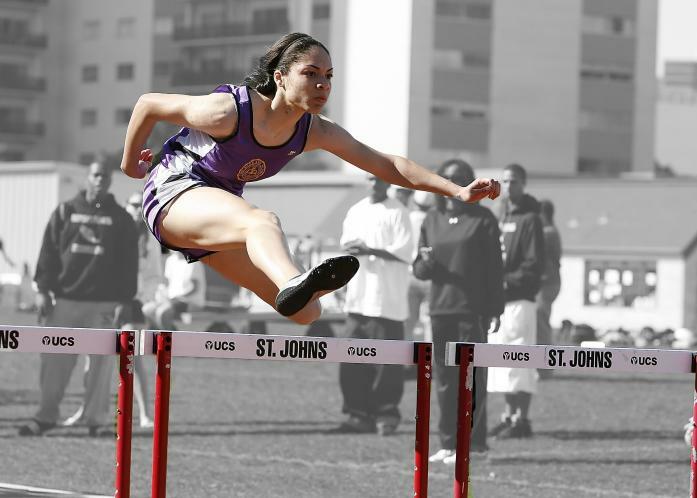 When it comes to increasing an athlete’s energy levels, no vitamin group comes close to B vitamins. In fact, the organization Dieticians of Canada named B vitamins as some of the most crucial for athletes. “B vitamins are needed for releasing energy in your body, building and repairing tissues and for healthy red blood cells,” per its official website. With its incredible B vitamin content, NOW Sports Energy Extreme is sure to ramp up your energy levels, repair muscle tissue, and promote healthy red blood cells. On the other hand, the manufacturer says this supplement’s chromium, magnesium malate, and carnitine components will help re-energize your cells for maximum productivity. Here’s the thing: while you don’t need an exorbitant amount of chromium (25 micrograms per day for females and 35 micrograms per day for males, per the National Institutes of Health), it still plays a key role in the metabolism of carbs, fats, and protein. Once that happens, expect an increase in your energy levels. One hundred sixty-seven percent of the daily value for chromium per serving ought to do the trick. For its part, magnesium malate is a combination of magnesium and malic acid. Contemporary studies reveal this compound helps energize muscle cells. Experts say it is a part of many enzymes crucial for ATP synthesis. Unforunately, NOW Sports Energy Extreme is not a significant source of magnesium malate at four percent of the daily value per serving (five percent or less is a low value). On the other hand, l-carnitine is a naturally-occurring amino acid known for its fat burning prowess. Experts believe increased l-carnitine levels and exercise translate to enhanced energy levels. Not only that, but l-carnitine also helps increased work capacity – you’ll find yourself cranking out more reps and establishing personal bests at the gym. We say 250 milligrams of l-carnitine per serving will help you ramp up your energy levels and then some. Taurine, 250 mg: An amino acid which helps improve insulin sensitivity, increase energy levels, lower stress levels, boost brain and heart health, and shorten recovery time. L-tyrosine, 250 mg: A non-essential amino acid which functions as a nootropic. L-tyrosine helps increase motivation, enhance mood, and improve concentration. L-citrulline, 100 mg: This popular pre-workout ingredient helps ramp up energy levels by keeping lactic acid and ammonia levels in check. Perhaps its most popular benefit is increased blood flow for better nutrient uptake, increased muscle pumps, and healthier blood pressure levels. That’s a powerhouse lineup of energy-boosting amino acids, folks. Throw in 30 milligrams of CoQ10 (Coenzyme Q10) per serving, and you’ve got it made. This fat-soluble compound produces energy for the cells of the heart, liver, and kidneys. Plus, CoQ10 is also a powerful antioxidant which helps ward off nasty free radicals. We also love the inclusion of adaptogenic herbs such as eleuthero root, panax ginseng root, and Rhodiola rosea. Not only will they increase your energy levels, but they will also help keep anxiety at bay and improve mental function. Who wouldn’t love the inclusions of yerba mate and green tea? Among their combined health benefits are ramped-up energy levels, enhanced mental and immune system function, more fat loss, better heart health, and increased antioxidant protection. Now, if you love caffeine, you’ll love NOW Sports Energy Extreme. That’s because this product has 120 milligrams of caffeine per serving, (“equivalent to about one cup of coffee,” per the label). More specifically, the caffeine content comes from natural caffeine powder and guarana extract (seed). It helps give you the jolt you need. Caffeine may produce a spike-crash or jittery effect in some individuals. While NOW Sports Energy Extreme is a top-notch product, its caffeine content is its most glaring chink (we’re wary of its side effects). With its insane B vitamin content alone, this product could have done away with its caffeine content. The takeaway: more natural pathways for increased energy is the way to go. Nevertheless, NOW Sports Energy Extreme will exceed your expectations, like we said earlier. Thiamin (Vitamin B1)(from thiamin HCl), 10 mg: Vitamin B1 helps increase energy levels and boost heart health. A solid 667 percent of the daily value for thiamin is a sure bet, folks. Riboflavin (Vitamin B2), 10 mg: This B vitamin helps ramp up energy levels and regulate the immune and digestive systems. Five hundred eighty-eight percent of the daily value for riboflavin will do the job. Niacin (Vitamin B3)(as niacinamide), 20 mg: This vitamin helps regulate heart health and improve joint mobility. Vitamin B6 (from pyridoxine HCl), 10 mg: This B vitamin helps keep homocysteine (a non-protein amino acid which has detrimental effects on the heart) levels in check for improved cardiovascular health. Your heart is in good hands with an amazing 500 percent of the daily value for vitamin B6. Folate (as folic acid), 400 mcg: Folic acid is a great complement to vitamin B6 in terms of improved heart health. The former helps regulate cholesterol levels to help your keep your cardiovascular system in tip-top shape. Vitamin B12 (as cyanocobalamin), 1,000 mcg: Meet NOW Sports Energy Extreme’s most abundant ingredient at an insane 16,667 percent of the daily value. There’s no doubt this much will help boost energy levels and heart health. Pantothenic acid (from calcium pantothenate), 20 mg: Vitamin B5 helps increase stamina, improve heart health, regulate the immune system, and keep stress levels in check. Iodine (from potassium iodide), 150 mcg: This component helps regulate thyroid activity and stop bacterial activity dead in its tracks. Magnesium (from magnesium malate), 15 mg: NOW Sports Energy Extreme is not a significant source of magnesium at just four percent of the daily value. Chromium (from chromium chelavite), 200 mcg: A mineral which helps metabolize carbs, protein, and fats for increased energy levels. Natural caffeine powder, 100 mg: Arguably the world’s most popular stimulant which helps increase energy levels, ward off nasty free radicals, torch fat, and increase athletic performance. However, too much of it may produce a spike-crash or jittery effect in some individuals. Guarana extract (seed), 80 mg: A natural caffeine source which helps increase stamina and energy levels. Guarana extract also helps improve memory and boost alertness. Green tea extract (leaf), 50 mg: One of the healthiest beverages which helps enhance cognitive function, incinerate fat, ward off free radicals, regulate blood sugar levels, boost heart health, and improve overall health. Yerba mate extract (leaf), 50 mg: An ingredient derived from a South American plant which helps boost energy levels, enhance mental function, and boost the immune system. Rhodiola extract (Rhodiola rosea)(root), 50 mg: An herb which helps increase endurance, keep fatigue at bay, and enhance mood. Eleuthero root, 50 mg: Also known as Siberian ginseng, this adaptogen helps ramp up energy levels, lower stress levels, boost brain function, regulate the immune system, and improve heart health. Panax ginseng root, 50 mg: Also known as Asian, Chinese, or Korean ginseng, this component helps strengthen the immune system and lower stress levels. Taurine (free-form), 250 mg: A versatile amino acid which helps increase energy levels, boost heart health, torch fat, lower stress levels, ramp up testosterone levels, and shorten recovery time. L-tyrosine (free-form), 250 mg: A non-essential amino acid and nootropic which helps enhance mood and improve concentration. L-carnitine (Carnipure), 250 mg: An amino acid best known for its ability to burn fat. However, l-carnitine also helps increase work capacity and energy levels. L-citrulline (free-form), 100 mg: An amino acid and l-arginine precursor which helps improve blood flow for increased muscle pumps, healthier blood pressure levels, and efficient nutrient uptake. CoQ10 (Coenzyme Q10), 30 mg: A fat-soluble compound which creates energy for the heart, liver, and kidneys. Well, it seems NOW Sports Energy Extreme pulls out all the stops, folks. To start things off, its 22-ingredient lineup is solid from top to bottom. Like we said, we haven’t seen too many energy boosters with this many ingredients. Some manufacturers pile up on the ingredients for the sake of it, but not NOW Foods – each component should help ramp up your energy levels one way or another. Honestly, NOW Sports Energy Extreme’s insane B vitamin content would have sufficed – that alone would have given you a quality jolt. But throwing in key minerals, stimulants, amino acids, and other energy-boosting ingredients? Four words, folks: it just gets better. For instance, the inclusions of iodine and chromium should help regulate thyroid activity and metabolize carbs, protein, and fats, respectively. What other energy booster can do these for you? We knew we’d leave you speechless. How about adaptogens to help ward off stress and boost brain function? Perhaps some key amino acids like taurine and carnitine for better heart health and increased fat loss? We’re telling you: NOW Sports Energy Extreme is a smorgasbord. It’s like a buffet which helps fill you up. Long story short, it has everything you want in an energy booster. On the other hand, its retail price of $15.45 for a 90-capsule bottle (45 servings) is a good deal. We also laud the folks at NOW Foods for excellent transparency (as always) – they break down all of the ingredient amounts. No shady proprietary blends, either. Thumbs up. Do we consider NOW Sports Energy Extreme a perfect product? This bears repeating (with added emphasis to boot): the caffeine content was unnecessary. NOW Sports Energy Extreme has so many energy-boosting components, you don’t need caffeine to produce unwanted jittery effects (even if the caffeine content is equal to just one cup of coffee). The other chink has something to do with reputation: this supplement is not as known as other bigger-name energy boosters on the market. However, that must change – you just cannot ignore this product’s tremendous upsides. In other words, we deem NOW Sports Energy Extreme a worthy addition to your supplement stack. We agree with all of these claims. NOW Sports Energy Extreme is a solid energy booster which should give you a fast return on your investment. The manufacturer intended NOW Sports Energy Extreme for healthy and active individuals who are at least 18 years of age who want to increase energy levels and mental alertness, keep stress levels in check, achieve their daily fitness goals, and improve their overall quality of life. NOW Sports Energy Extreme’s caffeine content is equal to “about one cup of coffee,” per the manufacturer’s official website. While this is not excessive, individuals who are sensitive to caffeine and prone to jitters should not take this product. In addition, NOW Sports Energy Extreme has niacin (vitamin B3), an ingredient which may cause a burning sensation in the face and chest areas in some individuals. If these, or any other ingredient, make you feel doubtful, please consult your physician before buying this supplement. Comprehensive ingredients. Arguably the most complete energy booster on the market. Has adaptogenic herbs. Help lower stress levels and enhance cognitive function. Contains key amino acids. Taurine, carnitine and citrulline, to be precise. Great transparency. Manufacturer breaks down all of the ingredient amounts. Bravo. Reasonable price. $15.45 for a 90-capsule bottle. Caffeine content. Manufacturer could have done without it. Seriously. Unknown reputation. Not as stellar as other bigger-name energy boosters. Take this supplement’s name for what it means, folks. When you talk about extreme energy, this product has it and then some. Its comprehensive ingredients list speaks for itself. We recommend you buy NOW Sports Energy Extreme and feel the difference.